What better than to start the Beta phase of Your Coleridge Blog with a reference to one of Mr C’s major works? 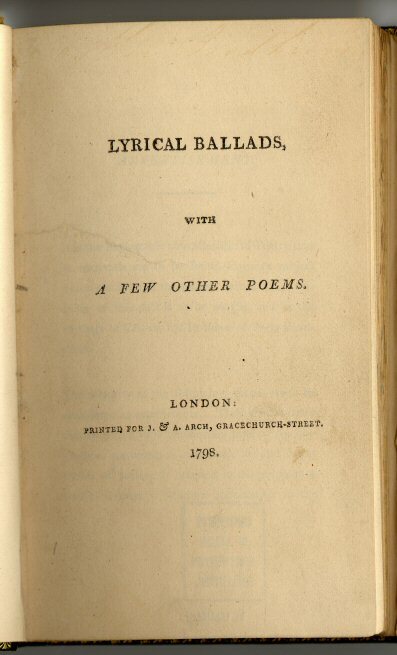 Of course, “Lyrical Ballads” is traditionally regarded more as Wordsworth territory, but still, it will be discussed on this blog quite extensively, so, why not have this rather relaxing introduction? Librivox.org does an incredible service to the literary community worldwide by providing free, high quality audio renditions of texts that are in the public domain. The librivox version is not complete, though – it’s “just” Volume I, and, speaking purely from memory, I think not even that one is fully recorded. But even so… It’s free, high quality stuff. One could ask for more, but one could also expect way less. So, have fun listening to this during your next drive to work!